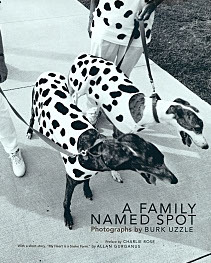 Burk Uzzle’s career, like his pictures, is a nuanced composition blending American culture, individual psyches of particular places and people, and an atypical way of seeing ourselves, our values, and our community. Always respectful yet locating the poignant or quirky, the history of his narrative belongs to all of us. 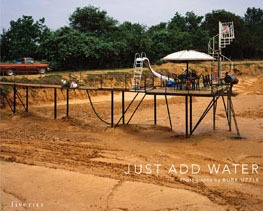 Initially grounded in documentary photography when he was the youngest photographer hired by LIFE magazine at age 23, his work grew into a combination of split-second impressions reflecting the human condition during his tenure as a member of the prestigious international Magnum cooperative founded by one of his mentors Henri Cartier-Bresson. For 15 years, Uzzle was an active contributor to the evolution of the organization and served as its President in 1979 and 1980. During the 16 years he was associated with Magnum, he produced some of the most recognizable images we have of Woodstock (album cover and worldwide reproduction of its iconic couple hugging at dawn) to the assassination and funeral of Martin Luther King Jr. to our comprehension for the experience of Cambodian war refugees. His archive spans almost six decades. His current work rests deep in photographic appreciation of the quiet, strong, and eloquent beauty he discovers in America’s small towns and its people. It is along small back roads, limned with feelings and a surety of surprise for the heart wide open, that continue to support his understanding of how America keeps its personality out on a limb. Uzzle’s current bodies of work are artful and constructed reflections of his subjects, many of whom are African-American residents proximal to his studio in North Carolina — a 100-year-old industrial building that hosted the production of automobiles to the manufacture of caskets. Their shared layers of experience are representatives of the now. In this space, individual transcendence offers history a look at contemporary life. Conjoined with Uzzle’s fundamental appreciation for unseen characteristics, he ably captures each in a collaborative, interpretive context with his eye and his heart. On the road and between the walls, his hope is for a graphic presentation of something universal within the particular, and all the better when involving a gentle chuckle and knowing smile. Chapel Hill NC : Ackland Art Museum, 2016. Print. New York: Five Ties Publishing, Inc., 2007. Print. Rose, Charlie. Preface. Gurganus, Allan. Essay. New York: Five Ties Publishing, 2006. Print. Norfolk, VA: The Chrysler Museum, 1992. Print. Martha Chahroudi. Introductory Essay. New York: Aperture, 1985. Print. Bailey, Ron. Introduction. New York: Magnum Photos, 1973. Print. "A Day in the Life of America." New York: HarperCollins Publishers, 1986. pp. 48-49, 184-185. Print. "Album Photographique One." Paris: Centre Georges Pompidou, 1979. Print. "Americain Crisis." New York: Ridge Press, 1999. Print. "Aperture 77.” New York: Aperture, 1976. Print. Aubenas, Sylvie, et al. “Le Choc de la Photographie Americaine." Paris, Bibliotheque Nationale de France, 2008. Print. Ball, Phillip, et al. "Colour In The Making." London: Black Dog Publishing, 2013. pp. 167. Print. Booth-Clibborn, Edward. "American Photography Three." New York: Harry N. Abrams Inc Publishers, 1987. Print. Brown, David J. and Weller, Dennis P. "Rethinking Landscape." Virginia: Taubman Museum of Art, 2008. Print. Campbell, Brian. "World Photography." London: Hamlyn Publishing Group, 1981. Print. Capa, Cornell. Introduction. "Master Photographs." New York: International Center of Photography, 1988. Print. "Contemporary Photographers." New York: St. Martins Press, 1982. Print. "Contemporary Photographers." London: St James Press, 1981. Print. Diamonstein, Barbaralee. "Visions and Images: American Photographers on Photography." New York: Rizzoli international Publications Inc, 1981. Print. Foresta, Merry Amanda. "Exposed and Developed: Photography Sponsored by the National Endowment for the Arts." Washington DC: Smithsonian Institution Press, 1984. Print. Friend, David. Editor. “The Meaning of LIFE." Chicago: Little Brown & Company, 1991. Print. Jay, Bill. "Friends and Other Photographers." Portland: Nazraeli Press, 2007. Johnson, Brooks. "Photography Speaks." Virginia: Aperture/The Chrysler Museum, 1995. Print. "Magnum: Fifty Years on the Front Line of History." New York: Grove Press, 1999. Print. Milani, Joanne. "The Delighted Eye." Tampa: Florida Museum of Photographic Arts, 2012. Print. "Photographic Communication." Minneapolis: University of Minnesota Press, 1971. "Tao of Photography." Honolulu: Ten Speed Press, 2001. Print. "The Great LIFE Photographers." Boston: Bullfinch, 2004. Print. Weiermair, Peter and Matt, Gerald. 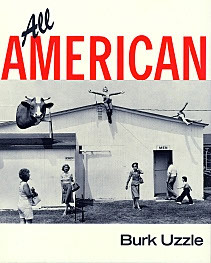 "American: The Social Landscape from 1940-2006 Masterpieces of American Photography." Bologna, Italy: Damiani Editore, 2006. Print. Witkin, Lee. "Sixth Anniversary Book." New York: Witkin Gallery, 1975. Print. "World Photography." New York: Ziff Davis Publishing Co., 1981. pp. 44-55. Print. "Aperture 77." New York: Aperture, 1976. Print. Aubenas, Sylvie, et al. "Le Choc de la Photographie Americaine." Paris, Bibliotheque Nationale de France, 2008. Print. Friend, David. Editor. "The Meaning of LIFE." Chicago: Little Brown & Company, 1991. Print. "During the process of making this film, it has been easy to see that the way in which Burk Uzzle approaches the photographic process is ontological — it is a way of being. He does not merely use his technical wizardry and vast experience to photograph a subject in an interesting way, rather, he is endlessly seeking to present the aura of the individual through a picture. His artistry continues to connect us with appreciation and understanding of the anima of a particular place or person. f/11 and Be There is a film about how he locates core moments that amplify how we see our collective selves, values, and communities. A current project documenting the African-American South is a prism into his affinities and priorities, and his belief that portraiture is still a new frontier in photography." Please contact for image prices and licensing.